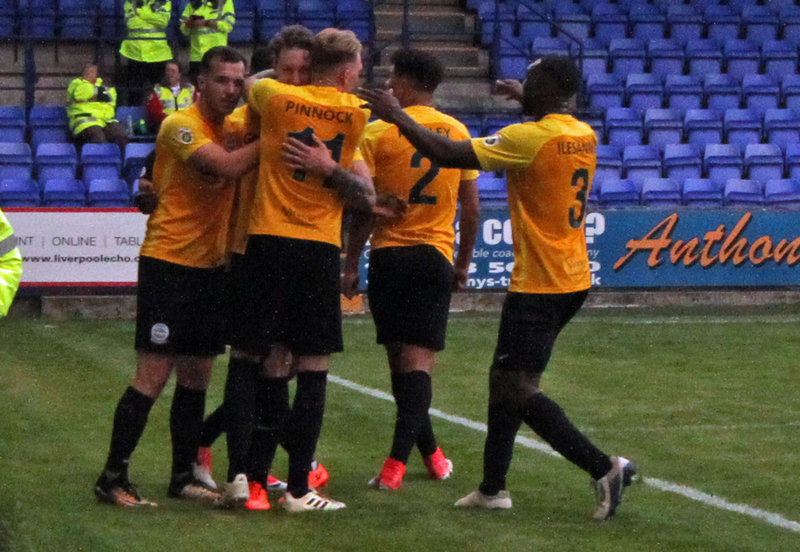 Ryan Bird’s 79th minute penalty stunned a 4000-strong home crowd as Dover won 1-0 in front of the BT Sport cameras at Prenton Park on Saturday. 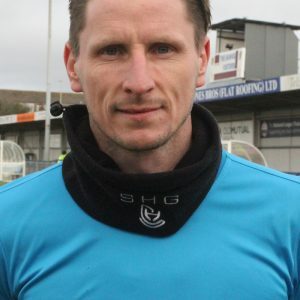 The striker rammed the ball down the middle of the goal after being fouled in the box by Ritchie Sutton. The visitors started brightly with Mitch Pinnock’s 30-yard strike narrowly clearing home keeper Scott Davies’ bar. The home team were first to register a shot on target as Ollie Norburn curled a free-kick into the arms of Mitch Walker. And Dover’s stopper was in the thick of the action as Rovers pushed forward. 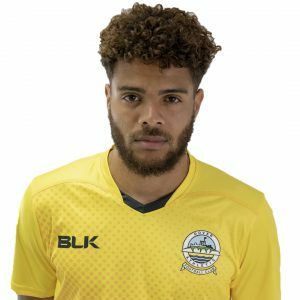 He dived onto Sutton’s drive at the second attempt after initally parrying the defender’s effort, then blocked Hughes shot after Jay Harris’ cross-field ball found the midfielder in space. Andy Cook then tried his luck with a twenty-yard rocket that fizzed past the post much to the relief of a diving Walker. Jamie Allen latched onto a goal-kick, but his first-time shot was too weak to trouble Davies. Pinnock went close before the break after robbing Steve McNulty, but aimed his shot just wide. Walker had to be alert to block Cook’s close range header from a Harris cross and at the other end Femi Ilesanmi’s shot whistled past the far post after Mitch Brundle found the winger in space. Sub Tobi Sho-Silva forced Davies into a smart save late on with a clever turn and strike from the edge of the box. Ilesanmi then went even closer to giving Whites the lead, heading sub Loui Fazakerley’s cross against the bar. James Norwood’s flick from sub Liam Ridehalgh’s set-piece went agonisingly wide for the hosts. But the away team did go ahead ten minutes later thanks to Bird’s penalty. The forward was felled in the area after sneaking in ahead of Sutton as the defender went to clear the ball, leaving Peter Wright no choice but to award a spot-kick. With the clock ticking towards full-time, Walker pulled off two fine saves to confirm Dover’s second win in three games at Tranmere. The keeper firstly blocked Ridehalgh’s effort with his legs, with Connor Essam on hand to clear the ball off the line as it rolled towards goal. Walker then somehow pawed behind Norwood’s volley following good work from Sutton. Earlier, Chris Kinnear made one change from the side that drew with Ebbsfleet on Monday. Fit-again Jamie Allen replaced Tobi Sho-Silva, who started on the bench. The win sees Whites rise three placed to sixth in the table, two points of leaders Dagenham & Redbridge. Dover: Walker, Gallifuoco, Essam, Parry, Passley, Brundle(c), Nortey (Fazakerley 65), Pinnock, Ilesanmi, Allen (Sho-Silva 55), Bird(Daniel 82). Subs not used: Deen-Conteh, Richards.